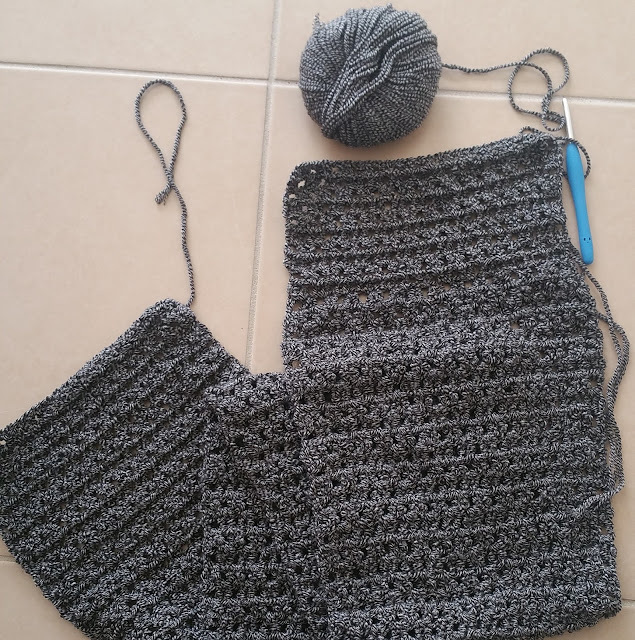 After my GIANT granny square blanket (still not finished, but almost....) got too big to commute to work with me I decided I need a smaller project that could come with me on the train each day, and also with me on my trip to Vietnam. It was great to have this on the plane with me - the flight went so fast, and it also kept me occupied in my hotel room at night. 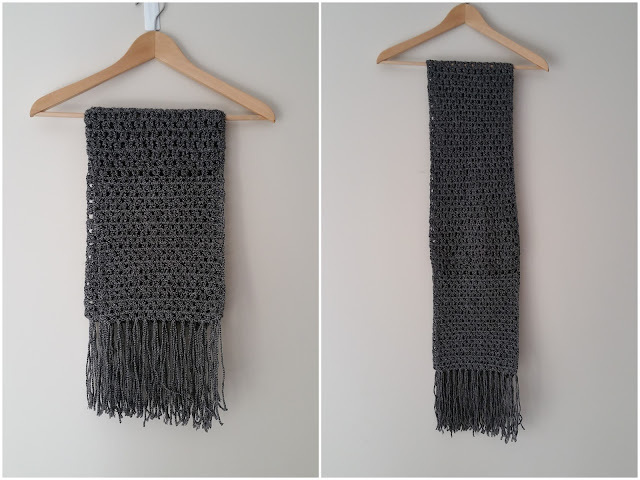 Enter my first EVER crocheted scarf! It's a bit wonky as my tension is TIGHT then LOOSE then somewhere in the middle, but when it's around my neck you cannot tell! Plus it feels so nice to wear - so nice and soft! 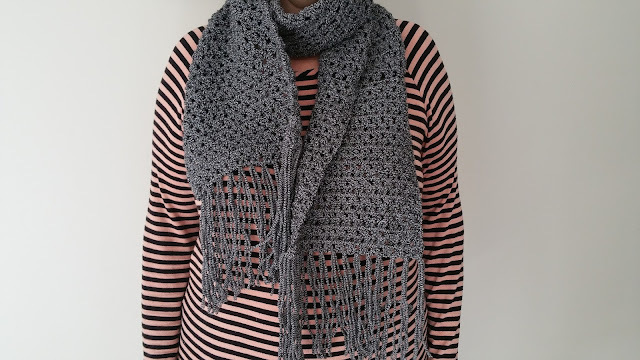 The wool is from the Granny Square in Newtown and is an 8ply 100% Australian Merino. This colour is called Beluga Twist and whilst I really needed a plain black scarf I got distracted by this. I used five balls for this scarf (from memory) and at $10.90/ball it's not a cheap scarf; but for the entertainment value of making it I think it's a bargain. 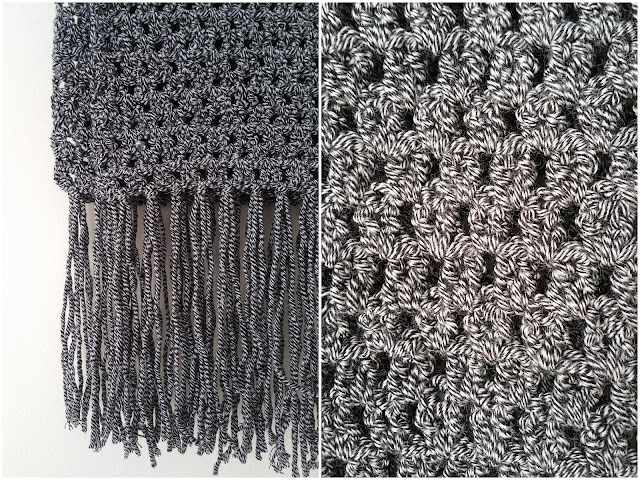 In hindsight though I probably needed a wool that "split" less as I was using it -- something more beginner friendly. The pattern came from here (it's called the Straight Up Scarf) and was a very simple beginners pattern. 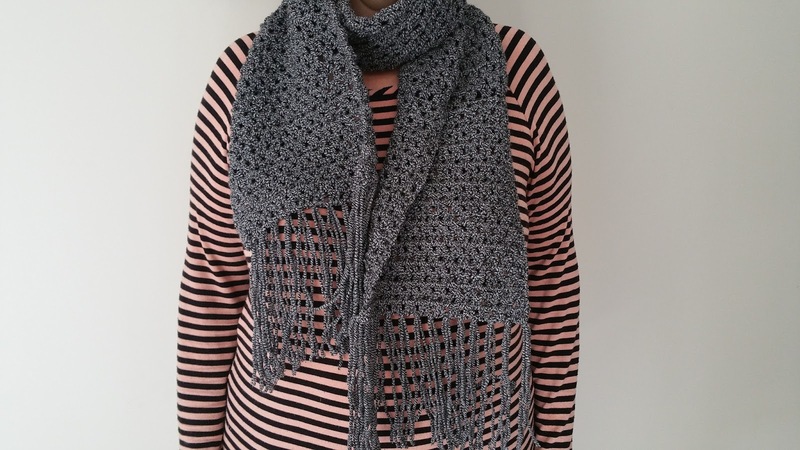 The whole scarf is made using a double crochet - which is "the" stitch used for making granny squares...simple! Hi - welcome to my blog where I plan to share my exploits as a novice sewist. I have a LOVE of dresses and stretchy fabric and am enjoying the journey to combine the two and make my own comfortable and wearable dresses with a lot of tops and skirts thrown in along the way. 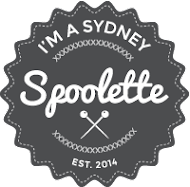 I love to travel (planning holidays is my obsession), read food + sewing blogs and fabric shop. I also LOVE food...hence the need for all those stretchy "eating clothes". Simple theme. Theme images by 1joe. Powered by Blogger.